Restrict any post/page/custom post type with custom query parameters or any dynamic URL from other plugins. 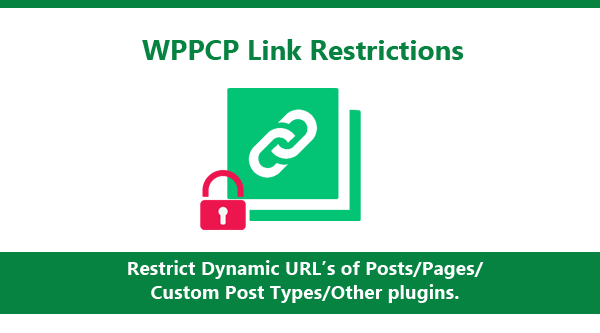 Upload and extract the wppcp-link-restrictions zip file into /wp-contents/plugins folder in your WordPress installation. You can hire the developer of WPPCP Link Restrictions to customize existing features or add new features according to your requirements. Please contact the developer at innovativephp@gmail.com for any customization requests for WPPCP Link Restrictions.